Factoring is another very handy math skill where Symbolab can help you find the solution and also help you learn the solution steps. 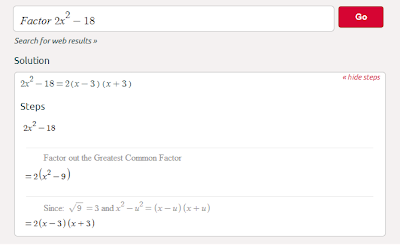 Say you have a piece of algebra such as: x^2- 5x+6: the goal of factoring is to get this into a form that looks like (x+u)(x+v). Why would you want to do that? to break the expression into more manageable chunks. 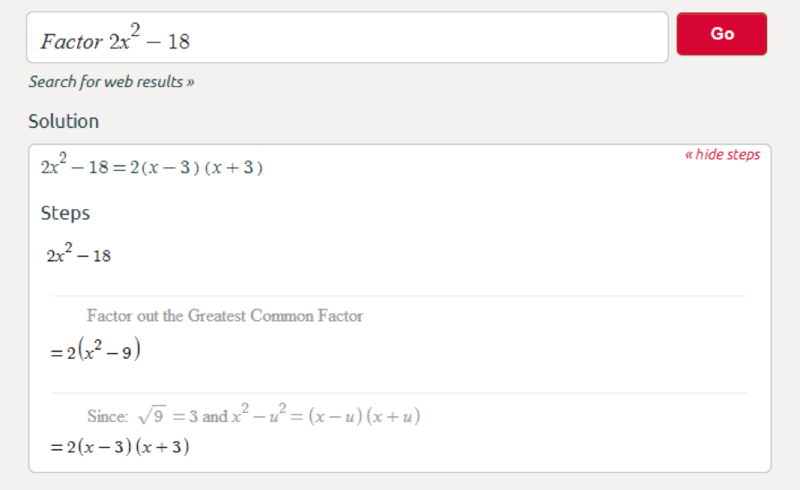 It turns out to be a super-important step when we come to solve quadratic equations e.g. x ^2 - 5x+6=0 (click here if you want to see how it works ). The key to factoring quadratic x^2 - 5x + 6 is to find u and v that factor to 6 and add up to -5. 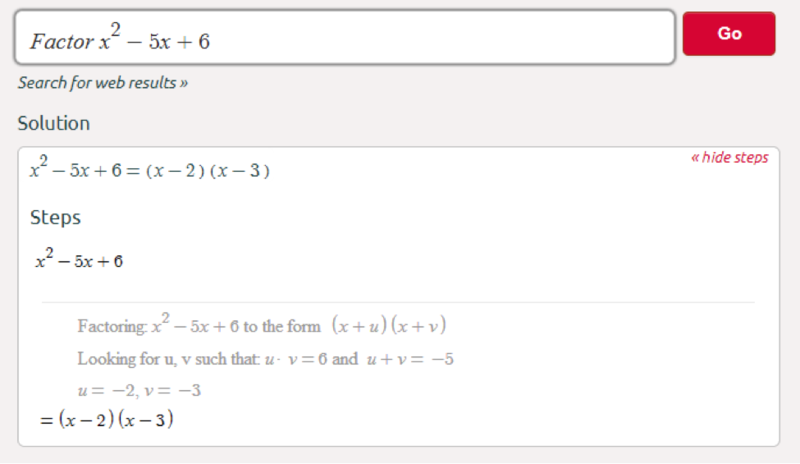 Feel free to play with more examples on Symbolab until you've properly got the hang of it. I know how to do effective outline for dissertation properly. Follow my link to get this knowledge!